Life is good at Bingham's Bagel Deli. The loathed customers are dealt the poor treatment they seem to deserve, bad rap music is played loudly, and The Rat is killed often enough to stem his immortality. And the insane homeless regulars -- like drunken Little Johnny Redbeard -- keep life interesting. 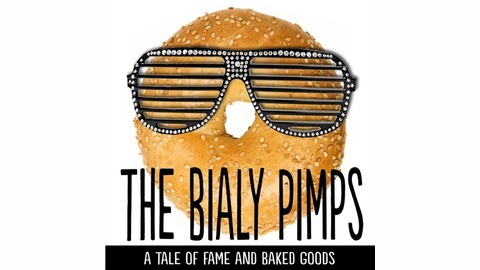 But when a rival tricks the crew into thinking that the deli's closure is imminent, they do the only logical thing: instead of giving up, they decide to go out in a blaze of glory, handing their customers the humiliation and abuse that the pesky social contract had previously forbidden. But as insults turn to assaults and snide remarks turn to harassment and pro wrestling moves, a strange thing happens. Business goes up -- way up -- as people come back in droves, begging for more. 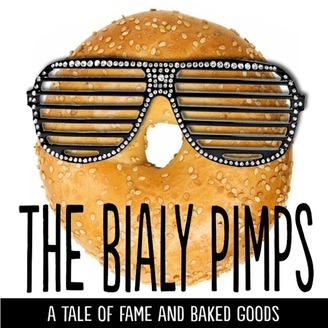 But the flame that burns twice as bright burns half as long, and as pop-culture welcomes the parody musical group "The Bialy Pimps" and its frivolous merchandising machine -- and as the crew pushes to see how much bad behavior society will accept -- the violent road to fame begins to feel like a runaway train, out of control and headed for destruction… The Bialy Pimps is a tale that could only be spun by the twisted, vaguely profane mind of outspoken blogger Johnny B. Truant. Combining hilarity with questions about conformity and whether the tail or the dog is the one doing the wagging, this story can't help but raise a question for the reader: If the rest of your friends decided to submit to the Face-Kicking Machine, would you do it too? ABOUT THE AUTHOR Johnny B. Truant is the author of JohnnyBTruant.com, a popular blog with a fiercely loyal readership that covers entrepreneurship, outside-the-box thinking, and human potential. He is also a regular contributor to premier business blogs Copyblogger and Problogger, the director and MC of the Virtual Ticket program for Blogworld, the world’s preeminent blogging and new media conference, and the creator of The Badass Project, a nonprofit organization dedicated to eliminating excuses and profiling people with disabilities who make most so-called “able-bodied” people look like total wimps. With the deli destroyed and closing, Dicky, escaped, revels in his accomplishment for a while before things turn bad. The fame wheel turns and the crew moves on, but the Anarchist arranges a reunion that is also a tribute. A new venture is begun as time marches inevitably on.